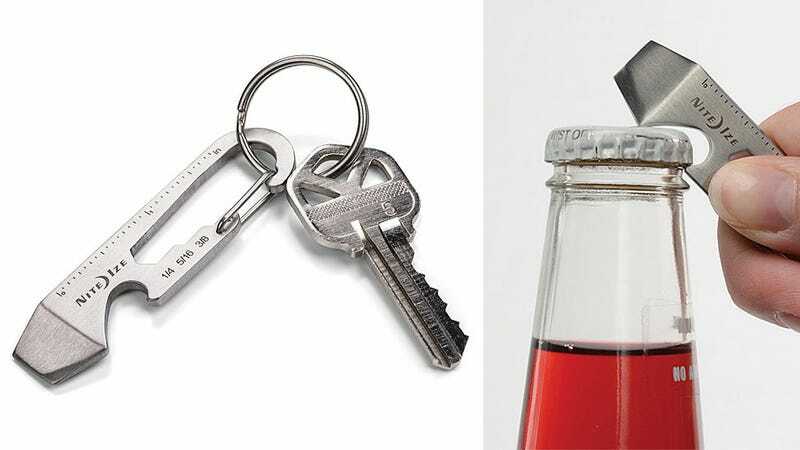 In addition to opening doors, that set of keys in your pocket also serves as makeshift knives, prybars, and even ice scrapers. But why risk accidentally bending a key and losing access to your home when this key-sized multi-tool can do so much more? What you're looking at here is actually five tools in one including a box cutter, a bottle opener, a metric and imperial ruler, a multi-sized wrench, and a flat-head screwdriver. But that's just its official uses. With enough imagination this can come in handy for countless other uses, even gaining access to your home if your actual key's gone MIA.